Gardening is a such a therapeutic hobby that I hate cultivating and harvesting can only take place for a specific period of time each year. I’ve recently become interested in how to best grow my own indoor herb garden as a foray into year round freshness, and have explored grow lights as alternatives to natural window lighting. 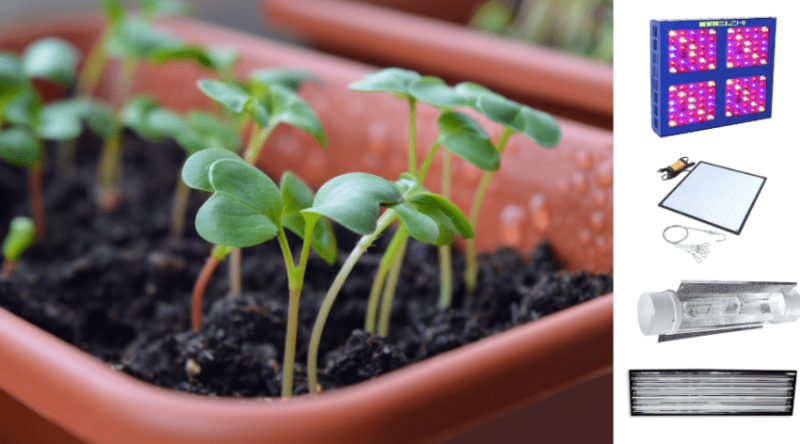 If you enjoy starting your spring seedlings indoors before planting them outside for the growing season, or are interested in year round produce, then investing in a good grow light may be well worth your while. 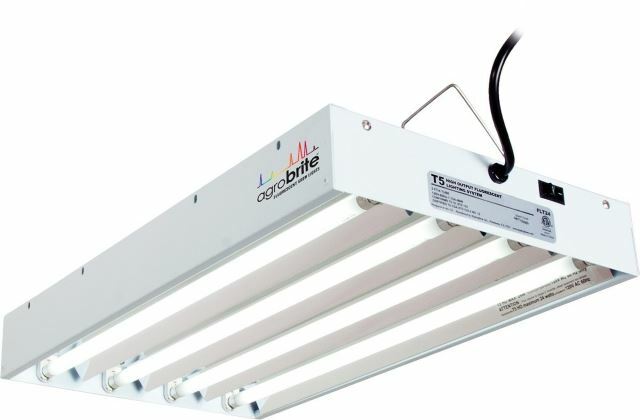 There are many grow lights and grow light companies available on the current market, but finding the best grow light for your specific needs can be a daunting task. I’ve highlighted 5 of my top picks from my own searches below to give you a good guide to kick off your own. HOW CLOSE SHOULD A GROW LIGHT BE TO YOUR PLANT? 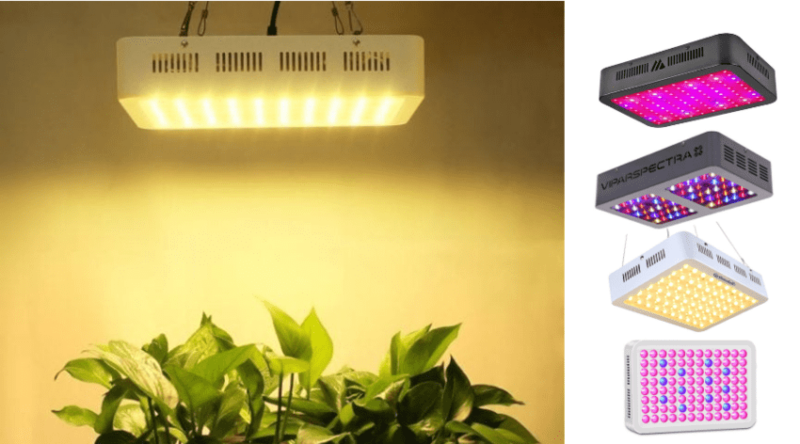 A grow light is an artificial light source that you can use indoors to help mimic the natural spectrum of the sun that influences plant growth and production. They are easy to use, plug into your electrical outlets like any other light you may have in your house, and provides varying degrees of brightness to whatever it is you are attempting to grow. Grow lights are popular with both hobbyist gardeners due to the ability they lend to getting seedlings started, as well as well seasoned horticulturalists who grow a variety of vegetation all year round. They are often offered in a variety of shapes and sizes to fit into almost any space you are attempting to utilize, and also can range in affordability for small personal to business type grows. Since light is one of the three major things your plants need to thrive and survive, grow lights can be used to mimic the light spectrum of the sun that aides plants in the process of photosynthesis. This process is described through the plants use of light energy which they convert into chemical energy- which thus can be used to feed growth and production. LED: 6 inches or more depending on the width of your grow. Grow lights are placed above your plants, usually quite close to the tops of your growing vegetation, in order for photosynthesis to occur. As your plants grow you will need to raise your light to accommodate this growth. A general rule of thumb is to keep your light spaced according to what type of grow light you are utilizing due to the differing strength of light and heat each puts out. Although these types of lights are defined below, keep the following spacing in mind for mature plants. You will want to adjust for seedlings and pay close attention to how much heat is being produced so not to dry out tender plants. Light spectrum can actually be described by the color of each type of light being emitted. This colored light is measured by the temperatures they produce- an important detail since plants prefer varying temperature, or colors, depending on their stages of growth. The best grow lights emit more than one color of light to provide the proper atmosphere within which your plant can grow. When determining what color light plants grow best in, you really need to look specifically at each plant and the research done surrounding their specific needs. Producing plants, such as tomatoes, grow in more than one phase. The first phase is the growing stage where they leaf out and become more of a plant, rather than a young seedling. Generally the plants within this stage need warmer, or more blue spectrum lights, in order to grow strong and healthy. The second phase beings once they begin to flower and reproduce. To help initiate and support this phase, your plant will prefer cooler temperatures, found within the red to yellow color range. Red lights are also extremely helpful to early growth and should be used with blue for early growth stages. Not all grow lights are made the same, however. Some emit a wider light spectrum than others, some produce various temperature fluctuations, and some are more specific to certain kinds of plants. When making your decision before making a purchase you may want to do a little research concerning your particular crop and it’s specific needs. We’ve provided a rundown of what is available for you to utilize in order for you to be able to make an informed comparison, and better understand what products are most widely offered. 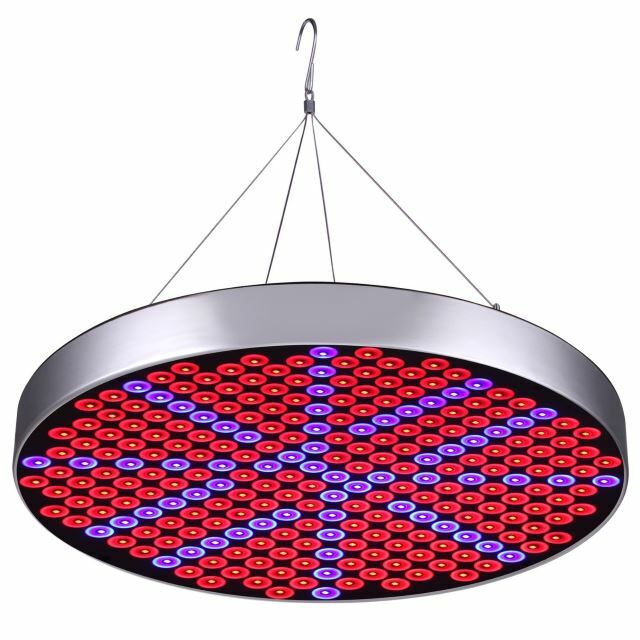 These are a popular light amongst experienced growers due to their high light output. These fall into three categories, Metal Halide (MH), High Pressure Sodium (HPS), and Ceramic Metal Halide (CMH). Each is favored for various reasons, but a simple explanation is that MH lights produce more light within the blue range of the spectrum, HPS produce more red and orange, and CMH provide a balanced mix of blue, red, and orange. Fluorescent lighting is popular for early growth stages, and are also considered highly energy efficient. They also don’t put out a lot of radiant heat, making them ideal for smaller grow areas, especially since they are available in a wide range of sizes. They do come in two different types: a high output (HO), and very high output (VHO). The technology behind the two is exactly the same, it’s just that the VHO put out more light, and therefore also more radiant heat. Not only are LED lights highly efficient energy wise, they also put out very little heat and can be used in very small spaces. Plus, the diodes are placed within light panels, means that each individual diode can becustomized to put out varying spectrums of light. This can result in a panel that is able to produce light across the needed spectrum at all stages of vegetative growth. This is a relatively new light technology that is similar to ceramic metal halide bulbs, but is considered much more efficient and with an even wider range of light spectrum. If you plan on using a larger space, lights that can physically span the areas you need to cover without being placed too high above your crop to be effective are the ones you will want to focus on HID choices are often chosen in these types of situations. Smaller spaces can more easily accommodate LED and Fluorescent lights that produce less heat- and can be more safely placed closer to your plants. WHAT CROPS ARE YOU PLANNING ON GROWING? As mentioned earlier, different types of plants may have different phases of growth and therefore their needs will vary from one another. Know what plants you plan on growing in advance to better utilize the light that you decide upon. Are you planning on starting seeds, cuttings, or seedling only? Are you wanting mature plants to produce? 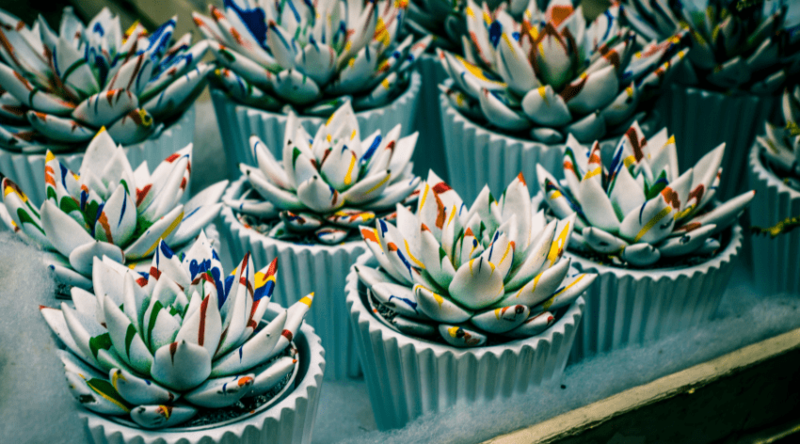 Are you simply supporting non-producing greenery? Or are you looking to support a whole growth system from sprout to harvest? Since certain spectrums of light are supportive of these many different scenarios, be aware of your plans in advance in order chose the best indoor plant light. There are a variety of lights currently available on the market, but we’ve compiled five of the best based upon a multitude of grow light reviews. Apollo Horticulture stands behind their products that are efficient, affordable, and provide fast results. 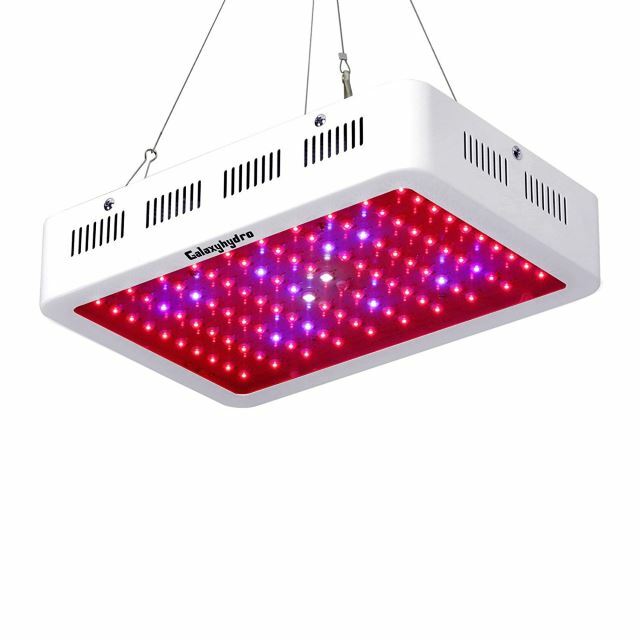 This particular grow light system is versatile and is offered in the sizes and powers needed for everything smaller home grows need for a great yield in production. The ballast system is also protected under a 2-year warranty should anything fail during its use. 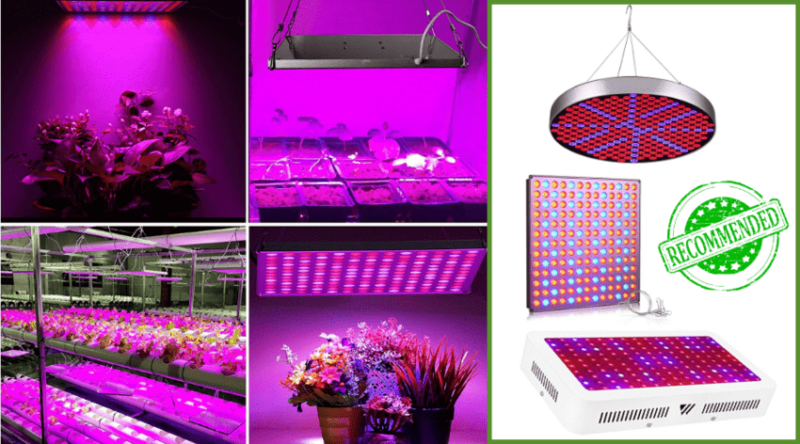 This system is shipped complete with bulbs that work together to cover the ranges of blue, red, and orange light spectrums for seedlings to production plant stages. It also includes a timer, digital dimmer, and a complete reflector hanging system to place your lights exactly where you need them. These HID lights use one MS bulb, and one HPS bulb for energy efficiency and quality light coverage to ensure all your plants are receiving sufficient energy for growth and production. These types of lights do produce heat, and so proper placement is a must to protect against fire hazards, as well as too high of ambient temperatures for your plant health. The Apollo Horticulture MS/HPS Grow Light is created for anyone seriously wanting to successfully grow plants in any stage of growth. 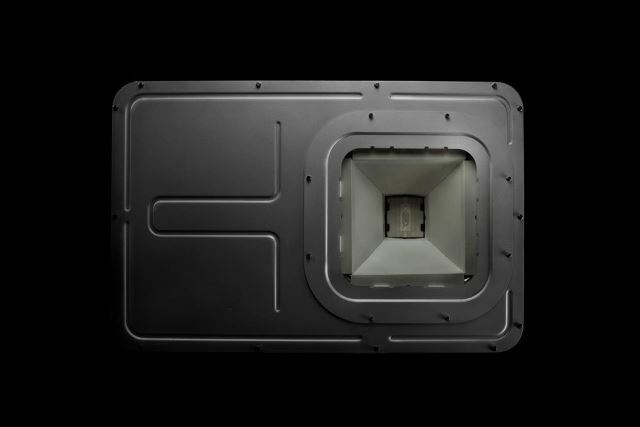 Created for smaller growing areas, the 1000 watt version should cover up to an 8×8 foot room, with the lower wattage geared for smaller rooms and grow tents. Hydrofarm has a long-standing reputation in the gardening industry and offers a wide range of products to help you be successful in your vegetative endeavors. 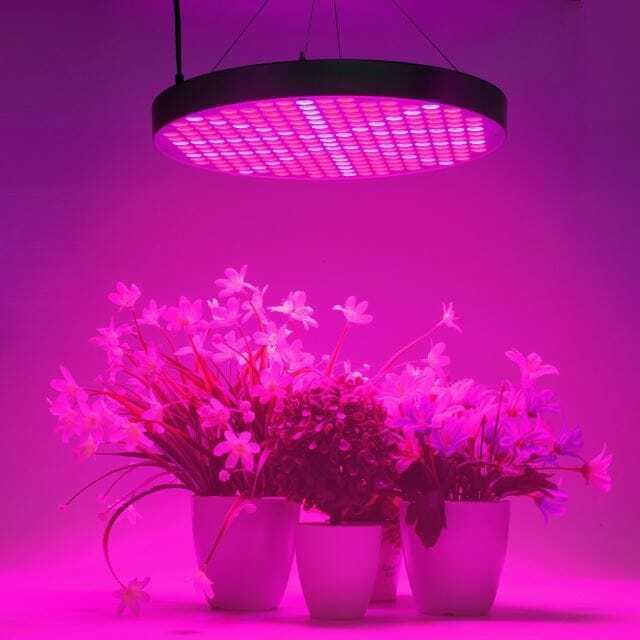 Their fluorescent-grow light system comes in your choice of sizes to meet the needs of a smaller, more personal garden, as well as a large scale grow. Fluorescent bulbs are more specific to the blue range of the light spectrum and are used mostly for germination and seedling starts. Although red wavelengths are also available, fluorescents work best with other lighting sources for late-stage growth and production. Since they do not put off a large amount of heat, these bulbs are popular for smaller, more enclosed spaces, and since this particular system can be mounted vertically, horizontally, or overhead, it is ideal for getting light into harder to reach spaces. This is a great system for anyone looking to get started with a crop to build strong, healthy plants and promote mature growth. The adjustability of how close you can place the light is exactly what young plants need to be exposed to as much light as possible for healthy initial growth. The bright blue light provides the correct temperatures needed for quick seedling growth so you can have a more productive crop later on. 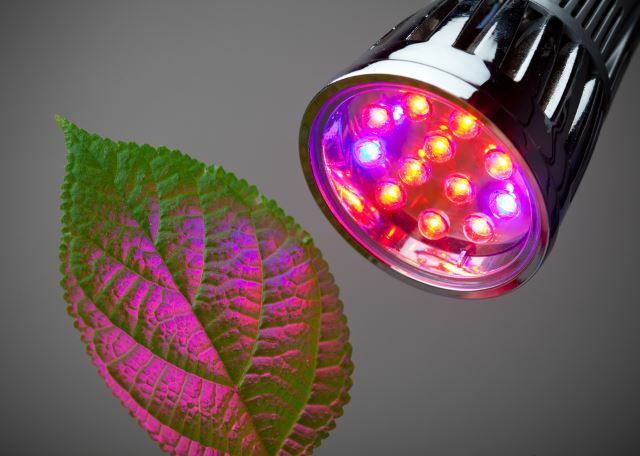 The red spectrum that is also present in the fluorescent helps with the later stages of growth as well, although it is suggested that you either replace this system with a red/orange light as the plants mature or add an additional light to the entire process. Sun System provides products that bring the power of the sun directly to where you need it for a successful indoor crop no matter where you plan on placing it. Although they offer multiple light systems specific the needed ranges of light spectrum within the various stages of plant growth, this particular setup can provide you with what you need from seedling to harvest. Created to house your choice of a blue spectrum MS bulb, or a red/orange HPS bulb, The Sun System 400-watt Digital Fixture is equipped with a simple toggle switch that can accommodate the differing wattage each bulb required for proper use. This means that you only have to invest in one housing unit for multiple bulbs no matter what you plan on growing. Lightweight and easy to set up, these high-quality units are specific to providing direct light to areas up to 9 square feet with ease. With the easy swap out of MS to HPS bulbs, you can rest easy that your plants will get everything they need during any stage of growth. 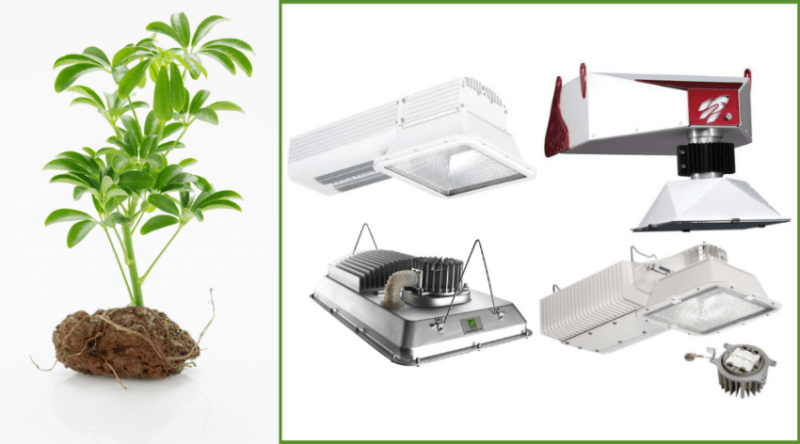 This is a great setup for serious indoor plant growers who want the added convenience of not having to trade out light systems or have multiple units set up. 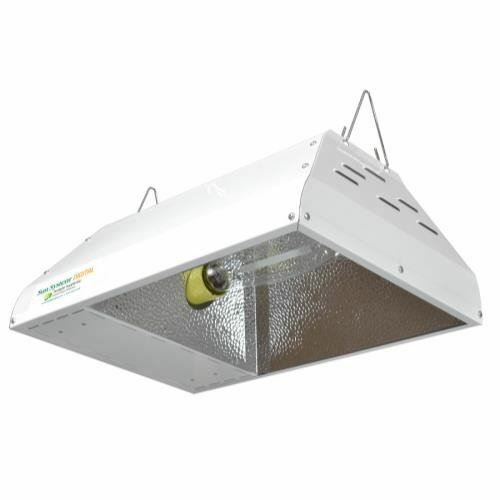 The LED Galexyhydro Series put out by this company is made with all stage vegetative growth in mind: wrapped up in a convenient, lightweight, and easy to use package. Using a red to blue spectrum ratio of 8 to 1, plants receive sufficient light to get started as seedlings and are then supported through mature growth, flowering, and production. 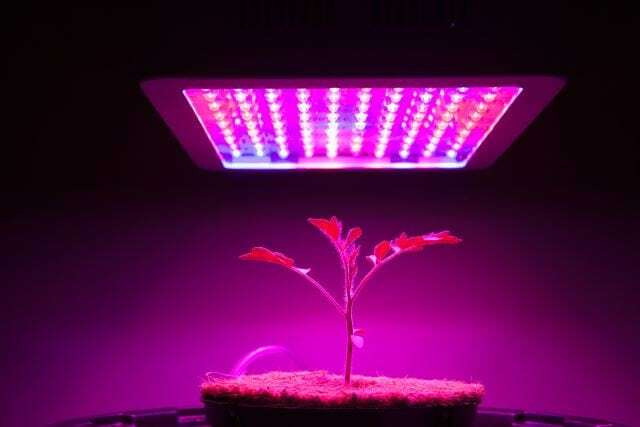 UV and IR growth lights are also included to aid in overall growth, but more importantly. help with providing a different spectrum that can disinfect against viruses that plants may have acquired. This very easy to install, this system includes a dual fan system and heat sink to keep the heat moving away from the lights to ensure a longer life, and also provide proper airflow for cooling within the space you are using it within. This lower working temperature can keep the lights working up to 20 hours continually, promoting rapid growth of your plants. The bulb lifespan is rated at 50,000 hours or more, making it efficient for years to come. This is the perfect solution for anyone looking for an all in one full spectrum setup. Although it must be hung over your plants at the heights provided by the company, the 12×8 inch compact design can cover up to a 9 sq. ft space well depending on how strong a light source you are needing. Some concerns over the lower blue emittance of the light have been mentioned, suggesting that for large amounts of seedlings an additional blue spectrum light may be required, although it seems to be effective for smaller amounts of plants within a smaller area that suggested. 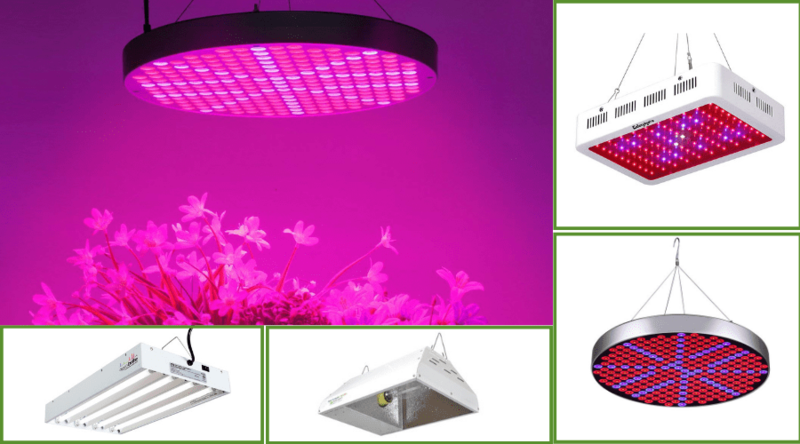 The Shengsite UFO LED Plant grow light is a compact, lightweight system that has become very popular due to its ease of use and wide spectrum range for all stages of plant growth. This 13-inch diameter circular light provides up to a total of 50,000 hours and has efficient heat dissipation for use up to 16 hours at a time. Safe enough to place within 8 inches of your growing seedlings, you should raise the light as your plants grow according to the accompanying directions. The red to blue ratio is 3:1 which is ideal for supporting germination and seedling growth, as well as mature flowering and production. Considered ‘awesome and affordable’ by consumers, plants grow lush and healthy when used in the correct manner. Perfect for the hobbyist grower, this is an excellent way to kick off your own personal forays into indoor gardening. Lightweight, easy to hang, and limited in the amount of heat it produces, it can cover up to 18 square feet depending upon your needs. Whether you are experienced indoor gardener or are just getting started, these light options are all excellent choices to provide you with a step towards a healthy crop at any time of year. Each are lightweight, offer varying uses, and also provide a light spectrum specific to certain stages of plant growth. 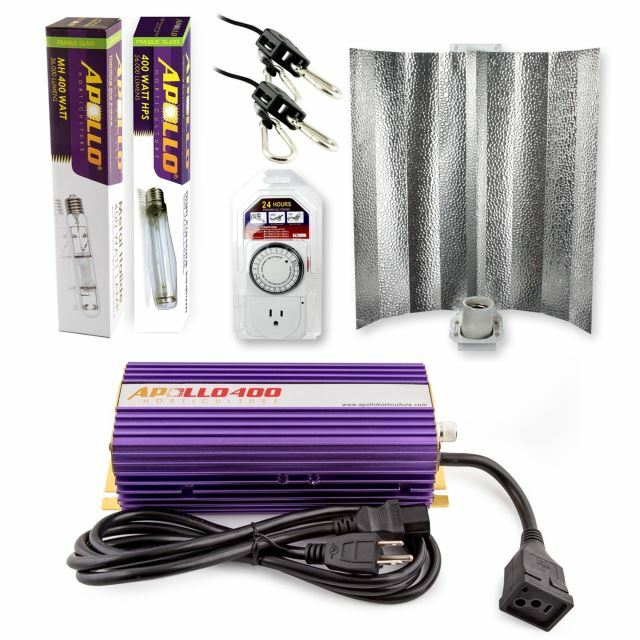 Although each of these lights are awesome for various reasons, my particular favorite is the Roleadro LED Galexyhydro Series 300W with UV&IR Grow Light due to how it is available for all stages of growth and provides a system that is self-cooling. Since it works well for small grows it is exactly what I would need to get my herb garden started this winter, and even start my garden seeds come spring. The UV/IR light addition is a nice touch as well. If you have any questions, want to share your favorite grow lights, or simply feel the need to comment- please do so below. And, as always, please share!